In this season with an abundance of fresh vegetables available, you can enjoy them raw with a great dip. Hummus is my most favourite dip in the whole wide world and I could easily exist on just hummus and fresh carrot sticks for months. I’ve included my base recipe using store bought tahini below with a few variation ideas. Mix chickpeas, tahini and garlic cloves in a food processor. Add lemon juice and oil, continue to blend. Add desired amount of water while the food processor is still running, through the opening in the lid - until the hummus has reached a thickness that you prefer. Taste the hummus and add more salt if prefered. 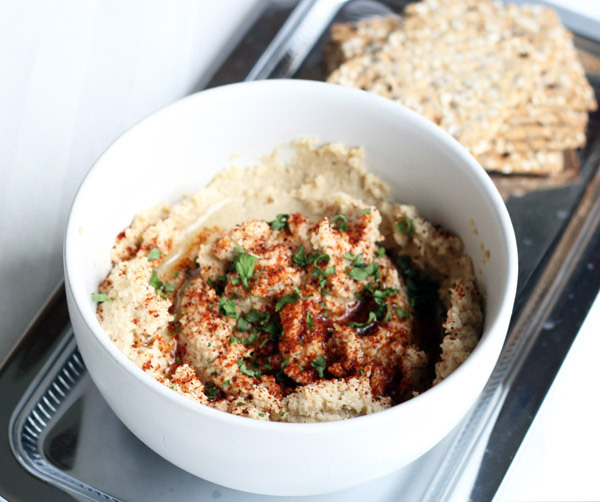 Note: Use less tahini and more water for a thinner hummus. If desired remove the oil and reduce the amount of tahini for a slimmer version of the hummus.